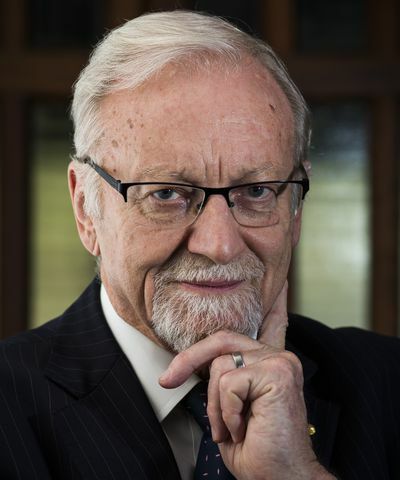 A colourful and central figure in Australian politics for two decades—described by Bob Hawke as having 'the most acute mind' of any of his ministers—Gareth Evans has also been applauded worldwide for his contributions, both as Foreign Minister and in later international roles, to conflict resolution, genocide prevention and curbing weapons of mass destruction. 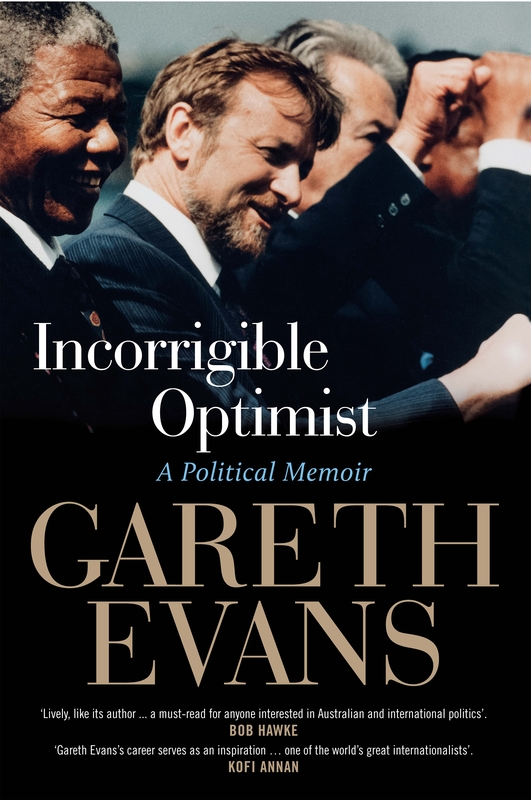 In this sometimes moving, often entertaining, and always lucid memoir Evans looks back over the highs and lows of his public life as a student activist, civil libertarian, law reformer, industry minister, international policymaker, educator and politician. He explains why it is that, despite multiple disappointments, he continues to believe that a safer, saner and more decent world is achievable, and why, for all its frustrations, politics remains an indispensable profession not only for megalomaniacs but idealists. 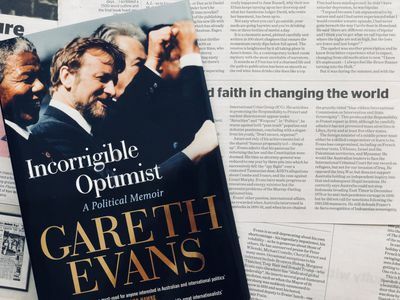 Speaking in Canberra at the launch of his political memoir, Incorrigible Optimist, on Wednesday, Mr Evans repeated his criticisms of US President Donald Trump and said Australia now had to approach questions under the US alliance cautiously, though he did not embrace the idea that Australia should walk away from the alliance altogether. 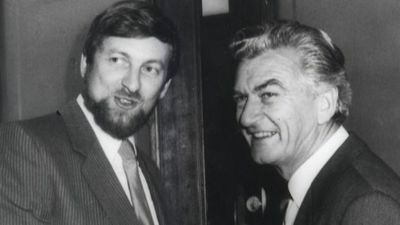 Bob Hawke. Eighty-eight. Labor hero. 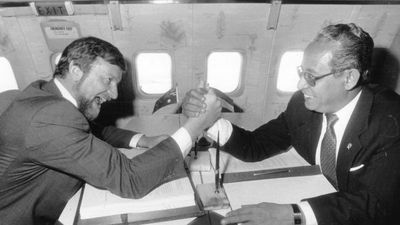 Four-time winning prime minister. 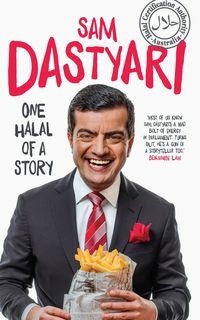 Gregarious and irreverent, the larrikin with the rapier-wit. 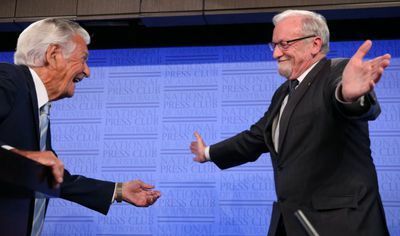 Evans, with hardback editions of the book propped like sentries at the ends of the podium, blushed as he was alternatively praised and rebuked by Hawke during the obligatory warm-up act. 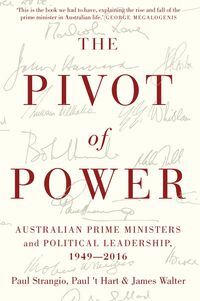 For an hour or so on a sunny spring day in Canberra, the politics of the past imposed itself on the politics of the present. 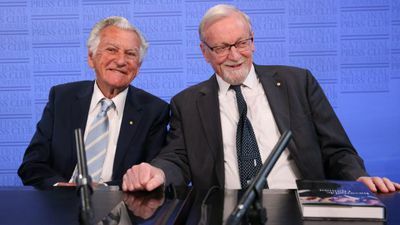 Australian National University Chancellor & former Foreign Minister Gareth Evans reflects on 21 years in parliament & his time as a Cabinet Minister in the Hawke-Keating government. 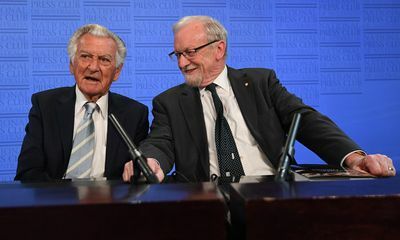 Introduced by Former PM Bob Hawke. 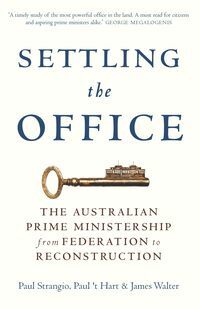 In Gareth Evans' latest book, Incorrigible Optimist, the former Labor foreign minister in the Hawke-Keating governments and now chancellor of ANU, is another ex-politician lamenting the decline of sensible politics and policy discipline. The former foreign minister’s memoir, Incorrigible Optimist, is a vividly articulated account of life in and after politics, passionately argued and richly anecdotal at the same time. A humorous, insightful reflection on a busy and deeply engaged life. 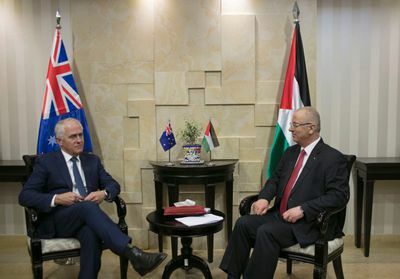 He remains commendably unequivocal in asserting that Australia's foreign and defence policy must reflect "purposes beyond ourselves" and include more self-reliance, more Asia, and less United States.